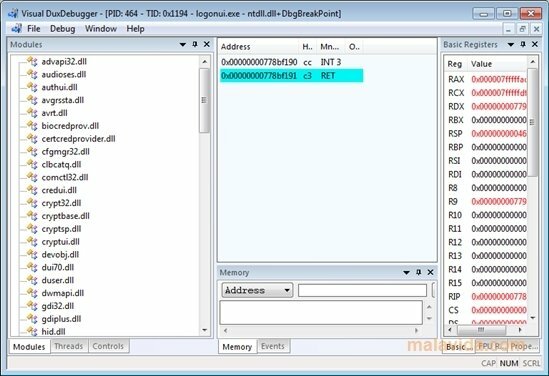 Visual DuxDebugger is a debugger specially designed for 64-bit systems that allows you to launch programs and codes in controlled conditions to be able to check if there are any errors. The software is free and fulfils all the functions that can be required from this kind of program. It is specially designed to carry out reverse engineering. 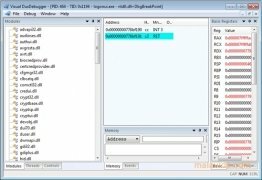 It has support for native 64-bit processes, as well as for processes loaded by the system, it is capable of completing in-depth analyses both of code as well as of the memory, it can debug multiple processes and child processes, detours functions and COM methods securely,... That amount of options it has available is very large. This kind of task can turn out to be very complex for the user. 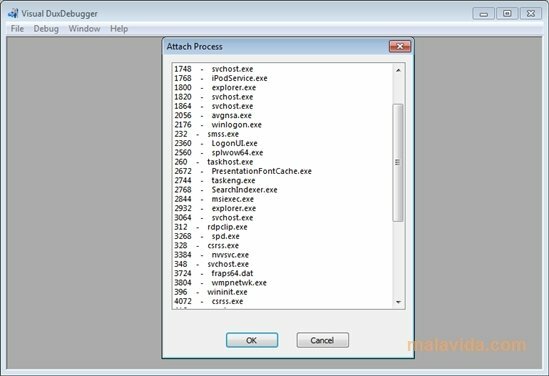 Nevertheless, this software is capable of simplifying this process a lot and completing it in just a few minutes. To do so, it includes a very simple user interface that concentrates all the application's potential. From it you will be able to access all the functions it has available. 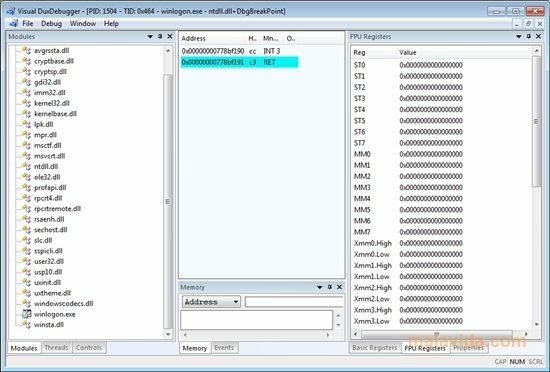 If you want to debug code and you don't know how, try Visual DuxDebugger.